Retro furniture is designed with the nostalgia of past times and the simplistic styles that were so popular and are now making a comeback. 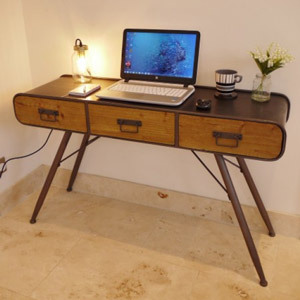 Our Retro Range has been crafted with past decades in mind whilst adding a rustic, industrial vibe which hand in hand turns these furniture pieces into an eye catching focal point. 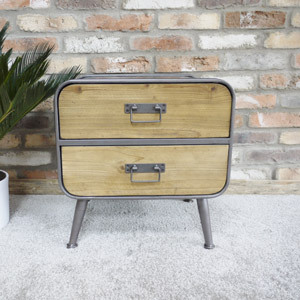 Whether in your living room, bedroom or even in your hallway the Retro Range will add a unique twist to you interior. This range focuses on the natural elements with the stripped back wooden fronts and metal frame to really complement the retro persona that this range holds. From side tables to console tables, it's the perfect furniture to begin your Rustic and Retro interior journey.